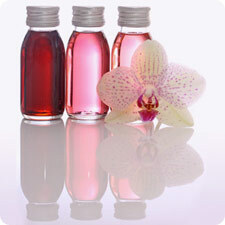 Aromatherapy is the art of applying essential oils in pure carrier oils to suit individual needs. Essential oils are the life force of flowers, plants, herbs and spices, each with their own healing properties. The oils are applied to the body covering stress areas such as the back, shoulders and neck, boosting the circulatory and lymphatic systems. Massage not only improves circulation and relaxes muscles, but also has psychological benefits and produces a unique sense of well-being. You will feel your body unwind, rebalance and rejuvenate. A general sense of relaxation can help us cope with the stress and strain of everyday life. Aromatherapy can be of benefit to everyone, whether their health is good or requires improvement. It uniquely makes use of two close range senses – touch and smell making it a very popular treatment. Each session is tailored to you and your individual needs.